Classical saxophonist Eugene Rousseau, along with the acclaimed Zagreb Saxophone Quartet, will perform at 7:30 p.m. Monday, March 19, in the University of Wyoming Fine Arts concert hall. Eminent musicians-in-residence, classical saxophonist Eugene Rousseau, along with the acclaimed Zagreb Saxophone Quartet, will perform at 7:30 p.m. Monday, March 19, in the University of Wyoming Fine Arts concert hall. Tickets cost $7 for the public and $5 for seniors and students. For tickets and information, call (307) 766-6666 or go online at www.uwyo.edu/finearts. The eminent musicians-in-residence will offer a master class March 19, from 9:45-11:45 a.m. in the Fine Arts concert hall. Admission is free and open to the public. 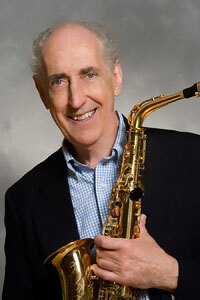 Currently a member of the University of Minnesota School of Music faculty, Rosseau is a distinguished professor emeritus of music at the Indiana University Jacobs School of Music. His many students have distinguished themselves as university professors and performers throughout the world. Rousseau has received prestigious guest professor appointments and has appeared as a soloist with numerous orchestras throughout the world, including the Minnesota Orchestra under Leonard Slatkin, the Indianapolis Symphony under Raymond Leppard and Phillpe Entremont, the BBC Orchestra of London, the Bavarian Radio Orchestra, the Prague Symphony and the Austrian Radio Orchestra. His performances have been heard on NPR's "Performance Today," and he has been interviewed on NPR's "Morning Edition." The Zagreb Saxophone Quartet appears regularly with orchestras and bands, having played under such distinguished conductors as Hans Graf, David Aitkin, Kazushi Ono, Alun Francis and Scott Stewart. It also presented premiere performances at the World Saxophone Congress in Montreal (2000), Minneapolis (2003) and Ljubljana, Slovenia (2006). The quartet's repertory includes works written originally for saxophone quartet, as well as transcriptions and arrangements of music from Purcell and Bach to Piazzola, Gershwin and Glass. The Zagreb Saxophone Quartet members are Dragan Sremec, saxophone professor and vice dean at University of Zagreb Music Academy (UZMA), soprano saxophone; Goran Mercep, chamber music professor at UZMA, alto saxophone; Sasa Nestorovic, chamber music professor at UZMA and director of HRT Big Band, tenor saxophone; and Matjaz Drevenssek, saxophone professor at University of Ljubljana Music Academy in Slovenia, baritone saxophone.